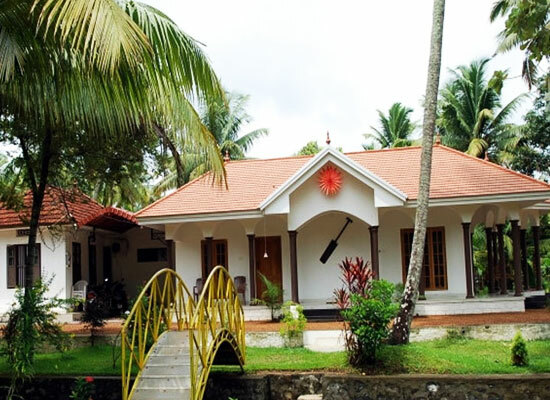 "The Lake Village Heritage Resort is sited at Kottayam, on the banks of Vembanad Lake. The Lake Village is a remarkable imitation of Kerala's culture, art, architecture, lifestyle, food and entertainment. Spread over 20 acres of lush greenery, the heritage resort is an idyllic destination for rejuvenation. The cottages are inspired from the simple lifestyle of Kerala. The exclusive Ayurveda Centre "Dhanwanthri" offers the best of treatments to freshen your body, mind and soul. Taste the delicious traditional meals of Kerala. Traditional programs offer entertainment. The modern infrastructure meets all needs of guests, both leisure and business travelers. The Lake Village Heritage Resort has 17 cottages. 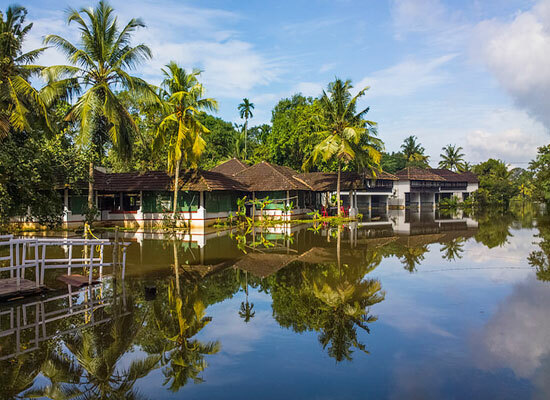 The traditional accommodations of Kerala are set on the waterfront of the Vembanadu Lake. 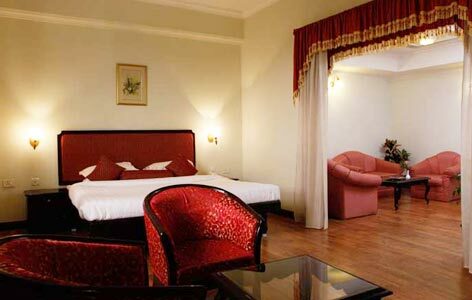 The cottages are tastefully created with the essence of the traditions with modern amenities. Each cottage creates a unique feeling of staying afloat a houseboat as the backwater gently laps the sides. The epitome of natural living, the comforts of modern facilities are not missed. At Mandapam and Ettukettu, you may savor some delicious local fare prepared with a traditional touch. Guests may also frequent the café of The Lake Village at Kodimatha to have a refreshing sip or two. The Lake Village at Kodimatha offers Conference and Business Center Facilities to its guests. This includes availability of internet, fax and photocopier. Accessing Kottayam is easy for the tourists as they may reach here by air, rail or road. Road: An outstanding network of roads links this place to all the chief cities and towns of India.